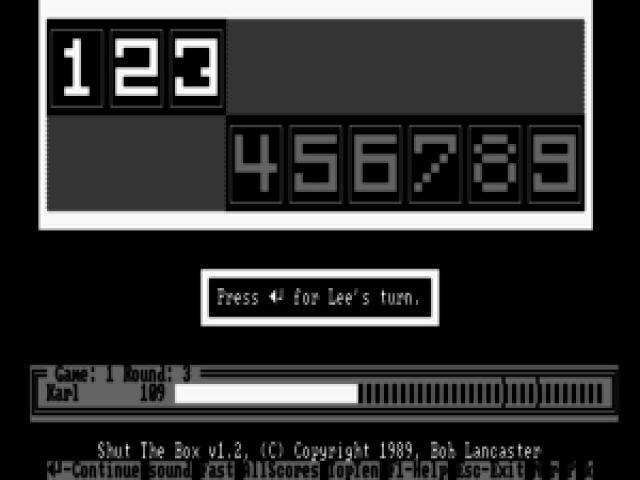 Shut the Box is a game that emulates a classic top down game of dice, known to be like a more difficult version of Yahtzee; in it, before you roll, you have to name a number. Then your dices have to roll under that number chose. You have to select a number that will total your rolls, or else you love. 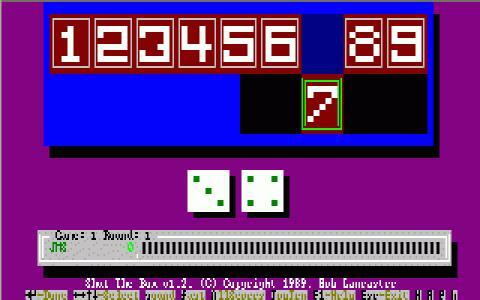 If you are the one that gets the roll number and the number you called the same, equal, you win. Also, you have only 9 digits, as there are digits to use, so if you manage to use them all, you get 50 points bonus. 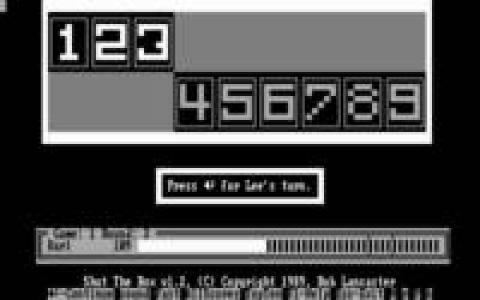 Each playthrough consists of 5 different rounds, and the better score, is the winner. 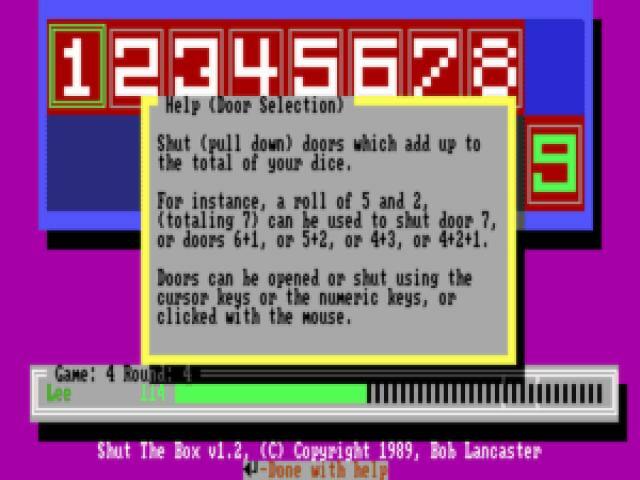 It's fun, and Shut the Box delivers it pretty well, within a few ANSI built windows, and with text inputs. But, given that it works and is playable, the not that complex looking graphics should not put you off. So, all in all, worth it, if you feel like a dice game that is a bit more complicated than your average games; so, worth looking into, without question. All in all, the game can be pretty cool and well produced.